Environmental concerns have increased the interest in growing crops organically. Although the technology has advanced too much, we are still dependent on water and land resources for agricultural productivity. Aquaponics is the fabulous way of growing volumes of crops organically in a small area. Aquaponics actually imbibes two methods, namely, growing fish or aquaculture and secondly, hydroponics or the techniques of growing plants in the soil-less environment. With the technique of acquaponics, one can grow crops on a commercial scale without any need for a good soil composition. 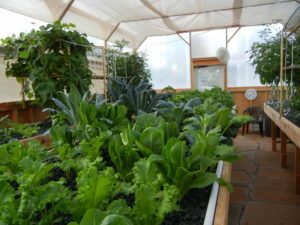 In the realm of organic gardening, aquaponics is the organic farming technique, created naturally, by using the negative effects of crop production in order to make that beneficial by employing natural ability of aqua life to rectify the side effects. In short, it just integrates the vegetable production with that of growing the fishes in a relationship which is symbiotic. So, both the equations get benefited. It uses the least space for producing the maximum plant food or crops. What is the cost of setting up aquaponics? There is a very direct kind of relationship between plants and marine creatures. If the water body is healthy, it may sustain a larger population of marine creatures, and on the other hand, if there are healthy plants, the water will be cleansed automatically. However, to make this happen, plant life in the water body must be abundant to cleanse the water for the fishes. This is the naturally occurring ecosystem whereby the plants make use of urea, nitrates and carbon dioxide given out by fishes and on return, the plants filter and clean the water with the help of oxygen. The aqua life eats the part of plant life and so the number is kept in check. Plants are offered carbon dioxide and nutrients. The same water is filtered again and again. Those who love to eat fresh; they can consider the set up of aquaponics. This system will not cost you too much. If you are growing for your family, it may just cost you a few hundred dollars. But, if growing commercially, the cost will come around to thousands of dollars. • By using aquaponics in organic gardening, you can enjoy up to 10 times more crops. Here you place the plants much closer on the float system and so it fits more plants in a smaller space. The plant roots always rest in the nutrient rich water for a healthy growth. • There is no need to undertake the painful task of weeding. So, there is more enjoyment and freedom. • Here you need not use the pesticides or soil pests. Thus, you have healthy plants without any toxic chemicals. • There is no need to water the plants since the roots are always submerged in the nutrient rich water. • Here the plants will grow much faster when compared to conventional mode of farming. You will be shocked to see how fast the plants grow in the aquaponic farm. Such a set up is environmental friendly and does not even harm our eco-system.